The base class for all cyclers. Cyclers are responsible for changing the cel of a Prop or Actor over time, giving the illusion of animation. ; Cycle the cels of myProp forward. 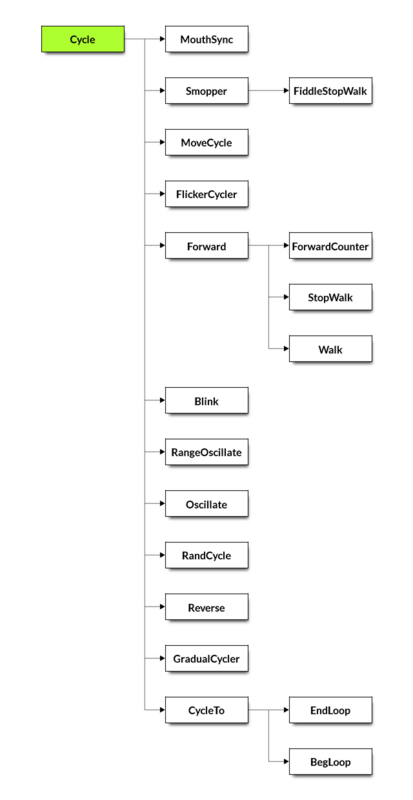 Subclasses: MouthSync, Smopper, MoveCycle, FlickerCycler, Forward, Blink, RangeOscillate, Oscillate, RandCycle, Reverse, GradualCycler, CycleTo. client The object to which this is attached. caller The object that is cue()’d when the cycle is complete.